. 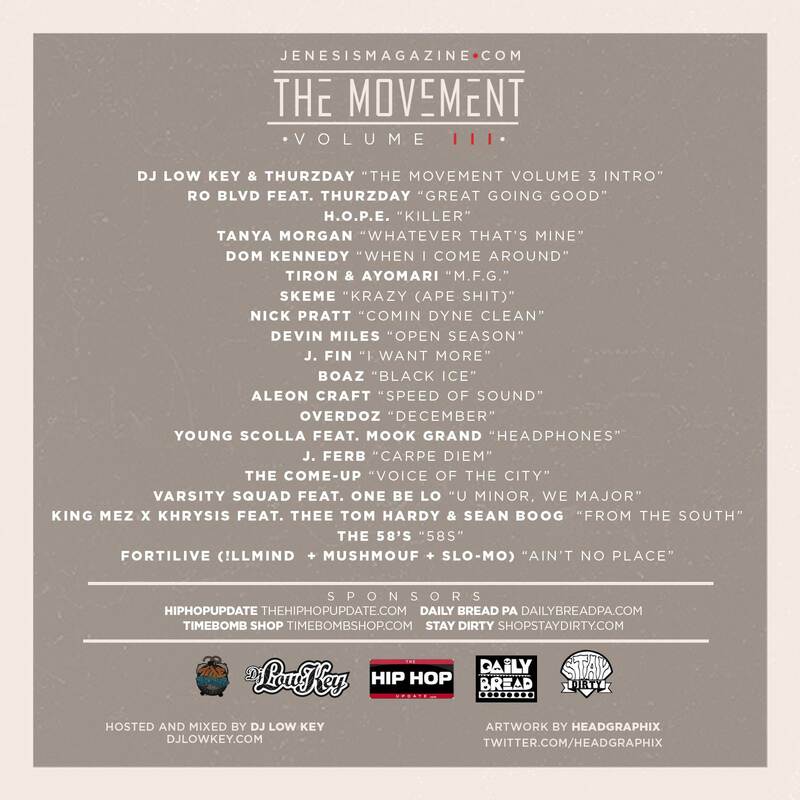 :Download Jenesis Magazine – The Movement Volume 3 (mixed by DJ Low Key):. Jenesis Magazine is, in my humble opinion, one of the only hip hop publications that has any semblance of quality control or actual sense of what’s good in 2012. They’ve been consistently covering what’s new and dope years before the XXLs of the world, so if you’re not already familiar, head on over to JenesisMagazine.com to learn more about what your friends with be excited about in 2013…LOL. But before you do, take a quick minute to download The Movement Volume 3, the latest in their series of annual mixtapes. It’s a mix of new artists they featured in the last year or so and follows in the footsteps the first two volumes, mixed by Pittsburgh legends DJ Nugget and the homie DJ Bonics (Wiz Khalifa’s DJ, among other accolades). So anyways, hit the links below to get a taste of the Movement, you’ll be glad you did. Last but not least, shouts to Jenesis Magazine for supporting the new music I think is great, for featuring me in their DJ issue last year and for reaching out to me to mix their annual tape.
.:Jenesis Magazine – The Movement Volume 3 (mixed by DJ Low Key) (tracked version):.
.:Jenesis Magazine – The Movement Volume 3 (mixed by DJ Low Key) (untracked/podcast/phone streaming version):.